A packed house in the station! 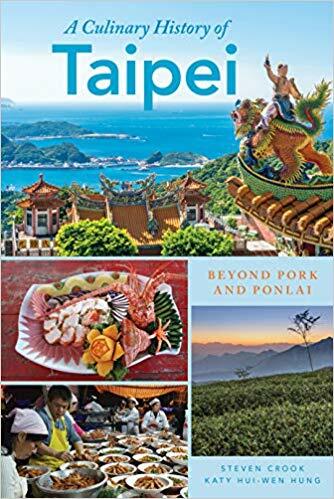 Cathy is joined by the co-authors of The Culinary History of Taipei, Katy Hui-wen Hung and Steven Crook, as well as the owners of the nearby Taiwanese American restaurant, Win Son, Josh Ku and Trigg Brown, to discuss the fascinating evolution of Taiwanese food. Katy and Steven explain why they decided to write this history book and what they learned along the way. We also dive into the oft-asked question of just “What is Taiwanese food?” Katy and Steven share the history behind two iconic Taiwanese dishes: its Beef Noodle Soup and Pineapple Cake. And the group discusses how the cuisine has been surprisingly influenced by the US over the decades.